I’ve never been one for patriotism, the idea of venerating the soil upon which you stand rankles me like a cat having its fur stroked in the wrong direction. Taken too far, patriotism brings with it jingoism, division and unwillingness to question the status quo. However, In small doses, it engenders pride in your fellow country-men and -women, allowing one to share a modicum of success writ large. Whether it be sports, science or cinema, as an Aussie, my ears prick up when I hear we have made our mark on the global stage. But nothing warms the cockles of my heart quite like Down Under representation in music. Therefore, Towers of Grandiosity, the debut album of Australian death-metallers; Descent, offers a potential opportunity to crow from the rooftops about our latest and greatest. Time to find out whether Towers of Grandiosity will swell my chest with pride or trigger a case of cultural-cringe. And it’s a hell of a refutation. Towers of Grandiosity is a savage, brutal affair that is as brief as it is vicious. The music persists in a fog of static, a malicious grain that runs deep into the core via blast-beats and buzz-saw riffs. 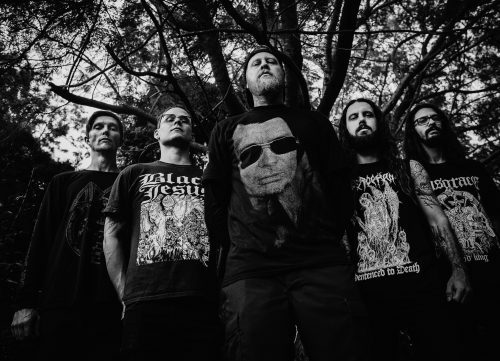 With a sound that is part Swedeath and part early Darkthrone, the pairing of black and death metal is less like the artisanal melding of different paint and more like heroin cut with baking soda – a volatile mix for a deadly high. Tracks like “Chameleon” and “Hindsight” claw the face with a jagged rhythm, a hammering of nasty chords and clipped fills. There is little nuance or variety, save for shifts in tempo. Occasionally, like on “Confined” and “Sicut Superius,” the band dips into some sludgy groove before ramping up the pace in whiplash-inducing bursts similar to those of Soilent Green. Vocals are coarse, raw and peppered with sardonic rasps. If your mood is that of misanthropic destruction then fortune smiles on you as Descent want nothing more than to tear things down and grind you into a fine paste. Beyond that, there is little else to define as Towers of Grandiosity exists for the sole purpose of cathartic release. There are few tricks up its sleeve, just a constant battery of repulsion. It starts to blur together after a while but with a 28-minute runtime the monochromatic nature of the music doesn’t drag the overall experience down too far. The album’s production is workmanlike, clear enough that individual instruments retain their character but not polished to the point of undermining the filth being peddled. It’s often a struggle to form an unequivocal opinion on a record that only cares about staying in its rut. Towers of Grandiosity is solid death metal fare but it’s neither original nor novel and is as adventurous as an agoraphobic. However, the little that Descent do, they do well, despite being an ugly, torrid sound with a face only a mother could love. Worthwhile if more-of-the-same is your thing but not anything the genre hasn’t belched out before. 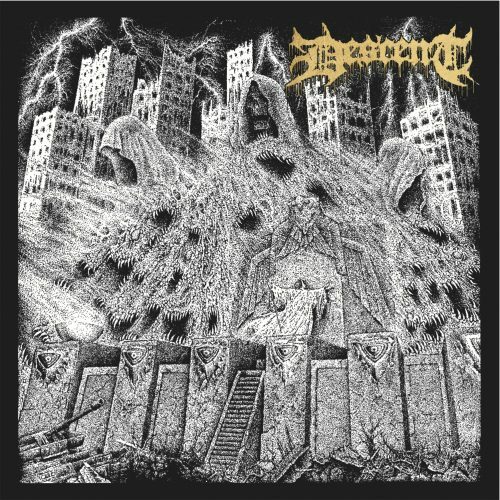 Descent have acquitted themselves with a degree of success, but while they have not embarrassed their mother country neither have they inspired one to belt out “Advance Australia Fair.” Although, maybe that’s a good thing.